In 2009 President Barack Obama was scheduled to attend the G20 Summit in London, and needed various unique gifts to present to the world leaders in attendance. He chose one of those gifts from Keith Lipert Corporate Gifts. To reflect the great promise of America, both historically and at the present time. 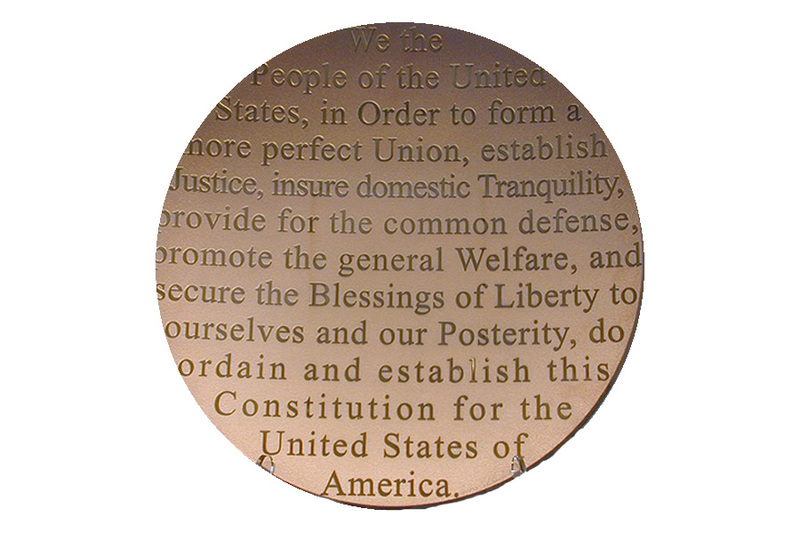 The bold Preamble of the Declaration of Independence emblazoned on a solid glass gold colored 19” plate captured the hope and promise of the future.